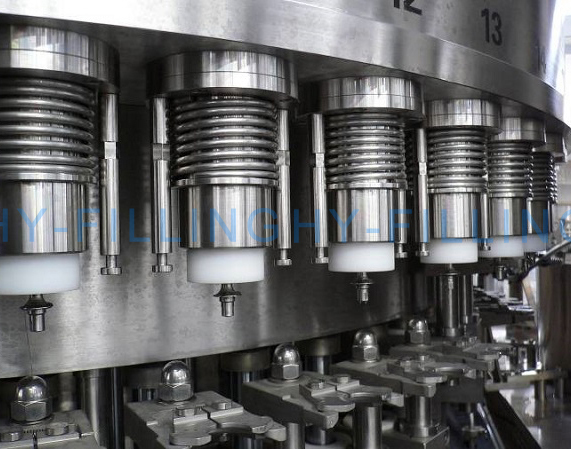 ☆ We introduce into Germany technology for the filling machine, and design & manufacture by ourselves with isobar filling principle. 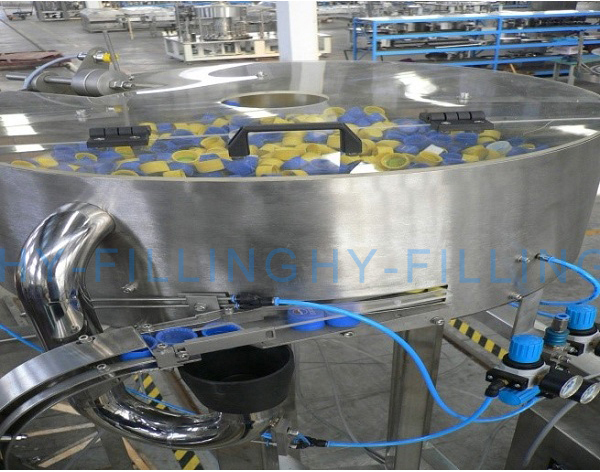 ☆ Filling valve adopts constant pressure mechanism valve, filling fast and high accuracy of filling liquid level. 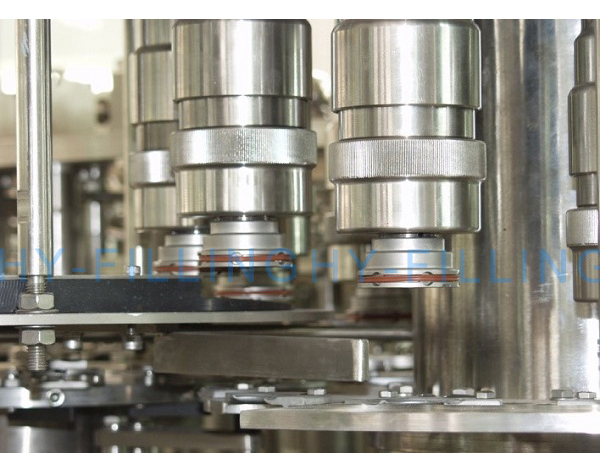 It is adopted double guide rod structure. 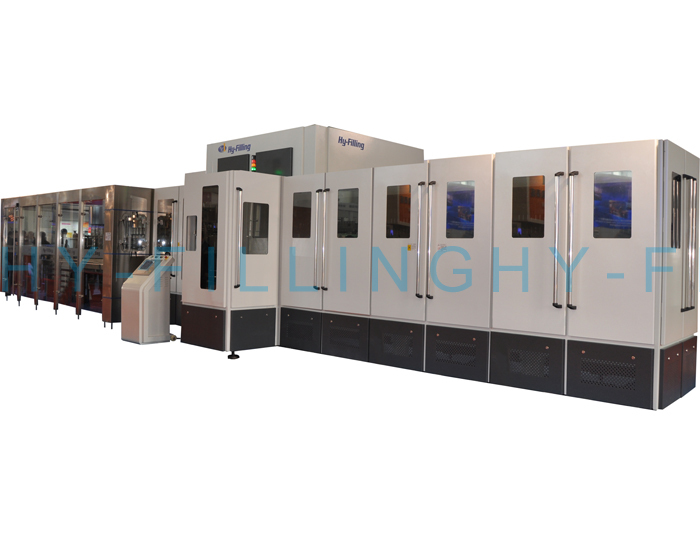 ☆ The main drive adopts gear drive, with high efficiency, low noise, long life, easy maintenance, sufficient lubrication, grease can lubricate centralizing automatically, adopts transducer to the speed of main motor to control, the machine adopts step-less frequency conversion timing. The material for the whole platform and frame is carbon steel with stainless steel outside. ☆ The machine is automatically controlled by PLC, fault on line display, like bottle block, cap shortage etc. 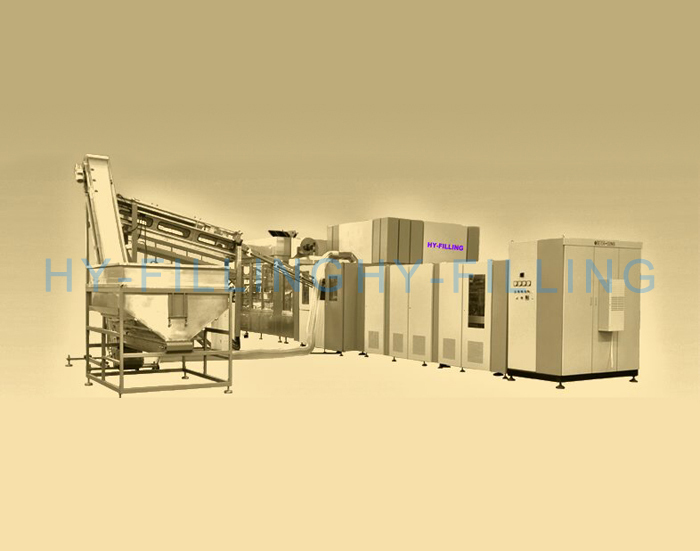 ☆ The key parts and electric elements of the machine are adopt import products. 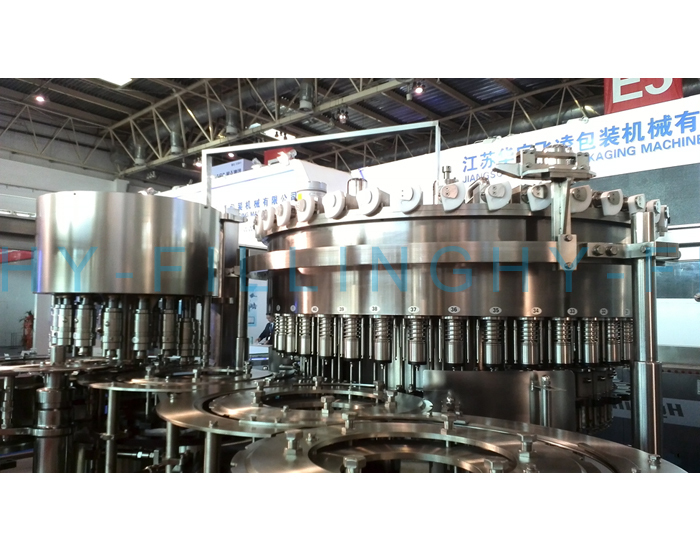 The capping rotates through reduction box drive rotational wheel, which make the cap leave the hopper with the function of centrifugal force. 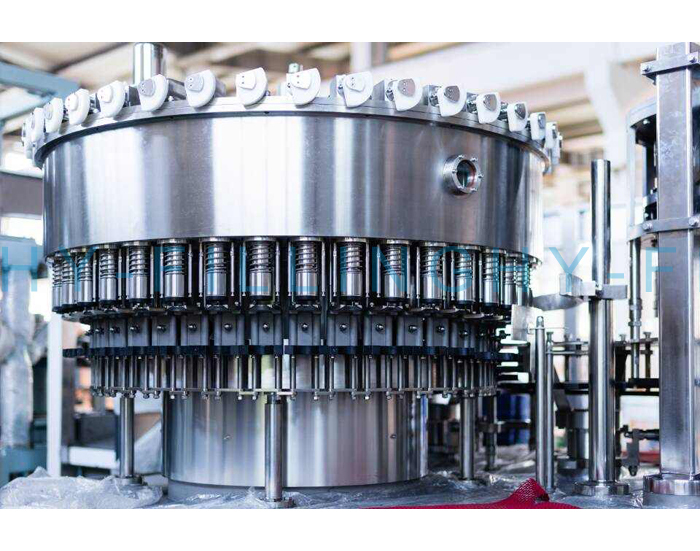 There is a separation device for right cap and reverse cap at the entrance, when the reverse cap passes, the cap automatically fall into and return to pipeline, and blow the reverse cap automatically to hopper through wind power. 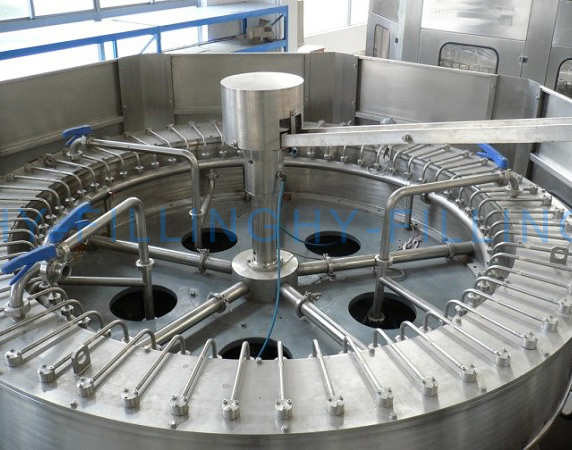 Only right cap could enter into skids smoothly, the volume of cap inside of hopper will be automatic inspected by electric switch to control cap conveyor, and that ensures best effect of cap down. 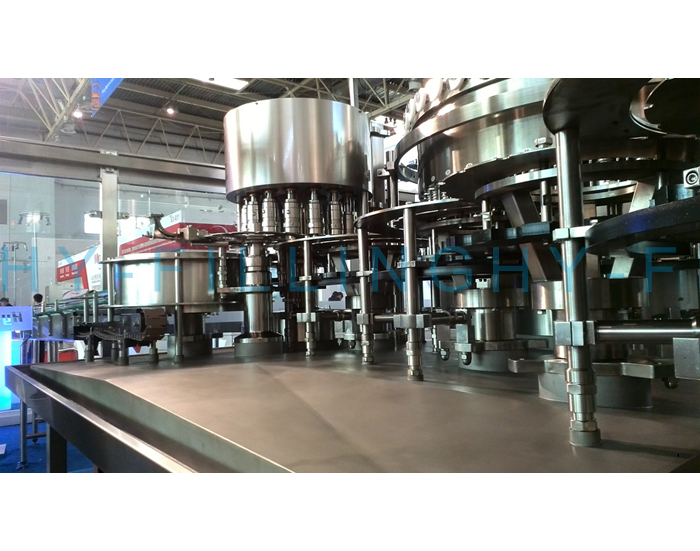 When the right cap enters into the slide way, it could smoothly enter into cap feed plate, to prevent accidents, there is an anti reverse cap drive plate device to match with slide way, to ensure that the access to the cap feed plate is correct. 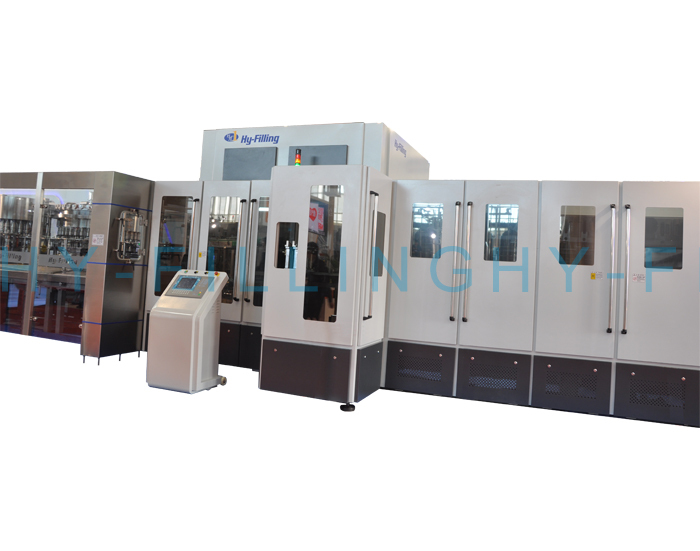 The slide way is also equipped with a pair of photoelectric switch, when testing no cap, then an immediate halt to the host. In order to effectively remove non-anti-theft ring bad caps and cleanup additional caps in hopper, there is an active exit in front of the hopper exit can meet this function.